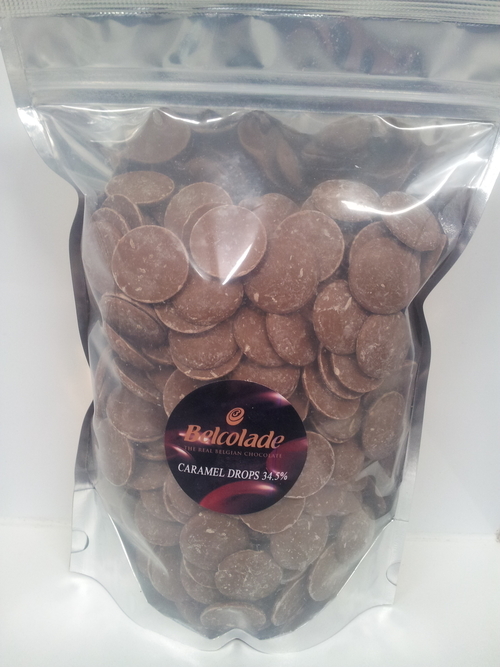 Semi-sweet brown chocolate mixed with delicious caramel flavour and the softest chocolate brown colour. Belgium chocolate drops perfect for sauces & glazes, flavouring, ice cream, dipping, moulding, moulded pralines, fillings & ganaches, and decorating. Or use to form a flowing curtain of delicious gourmet chocolate cascading from your home chocolate fountain. Fully microwavable - a perfect dessert in seconds! A brilliant idea for special events and parties! THIS IS THE BEST YOU CAN BUY! 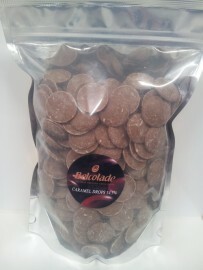 Belcolade is regarded in the top 2 chocolates used by experts in Europe. Easy to melt for use in moulds or dipping and can be used in baking. Belcolade in the circle of professionals is one of the best money can buy.